LOCATION! CORNER UNIT ON BEAUTIFUL CANAL. 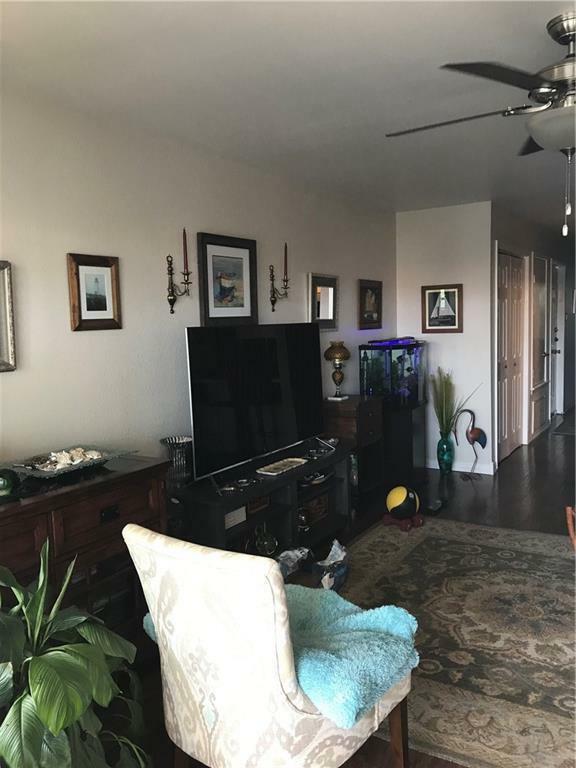 VERY WELL maintained OUTRIGGER condo features one large bedroom and good closet space with a nice sized bathroom that has a tub/shower combination. Beautiful hardwood flooring throughout adds to the checked off list that this condo will offer. Large breakfast bar separates the kitchen from the big open living room that area, that in turn, opens to the covered patio overlooking the canal. 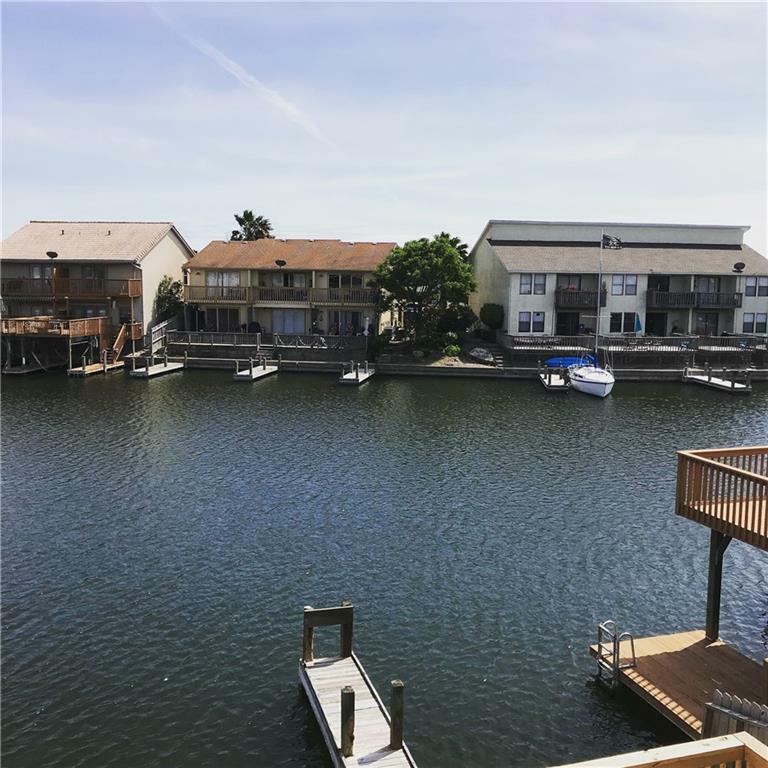 Quiet and tranquil, you feel like you are on vacation while living here affordably. The HOA monthly dues are only 250. Stainless appliances, stacked washer/dryer in laundry closet convey. 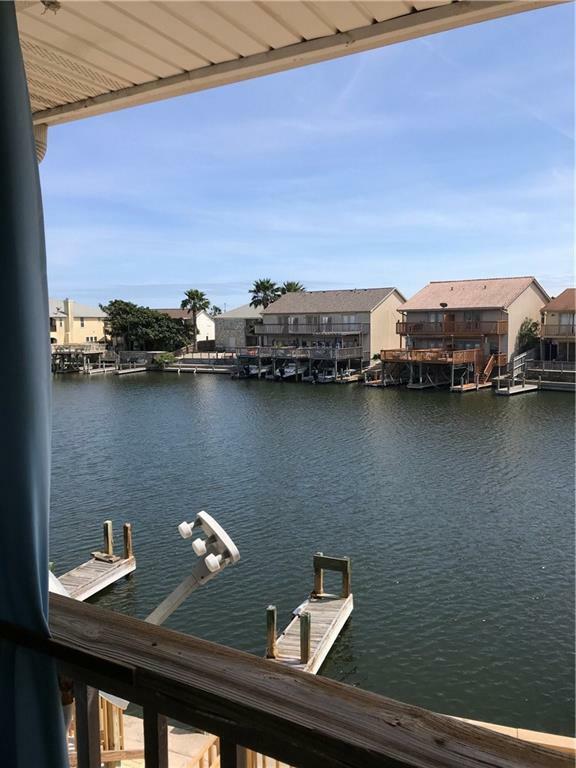 Comfortable living in this get away allows you a boat slip to park your boat after a day of fishing; sit on your patio and watch the sunset or grab a fishing pole and do some fishing in "your" canal. 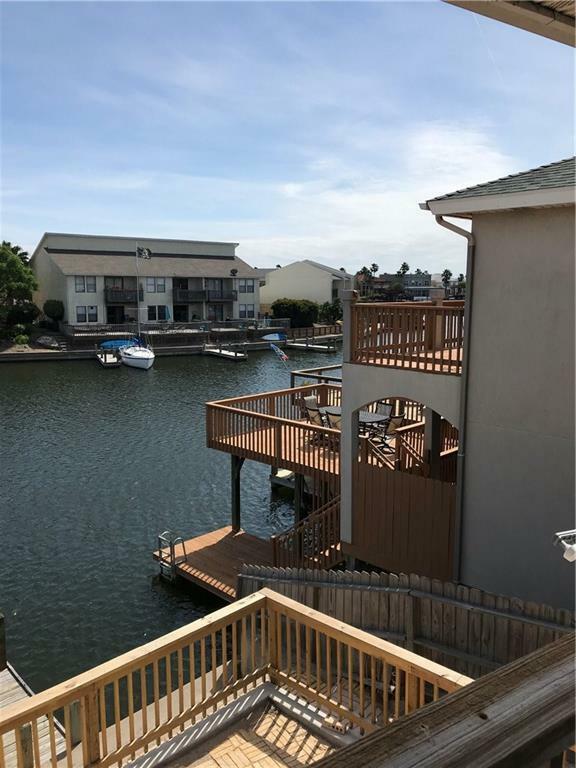 Close to the ski-canals intra-coastal waterway! HOA includes water, sewer, trash, exterior maintenance-$250/monthly. You can't beat this deal! Listing provided courtesy of Ultima Real Estate. © 2019 Coastal Bend Multiple Listing Service.